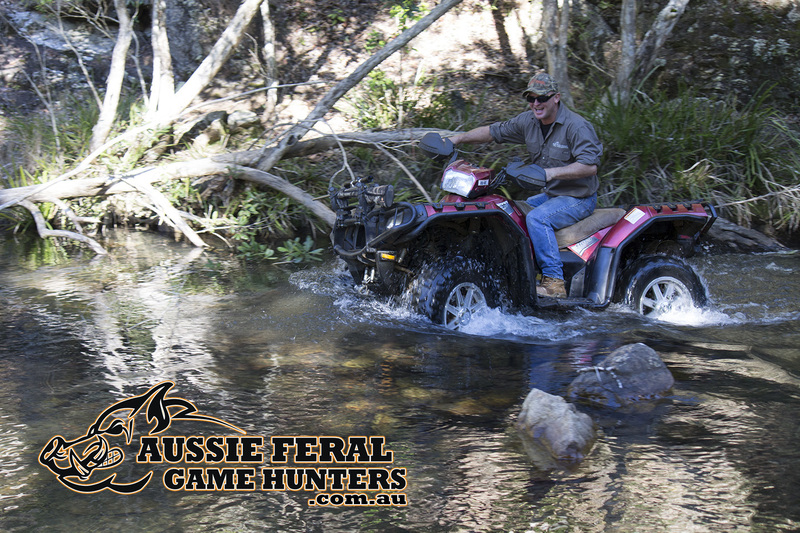 ATV’s and UTV’s are the most common transport for Aussie hunters and outdoor enthusiasts due to our harsh terrain and the reason for this is because of our vast open land which at times can be hard to cover on foot or by vehicle at a reasonable speed. 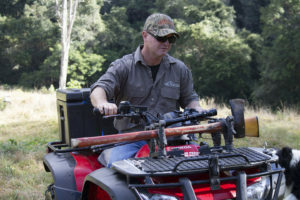 As well all know with our quads you have limited storage space and manufacturers don’t cater for firearms or bow storage. 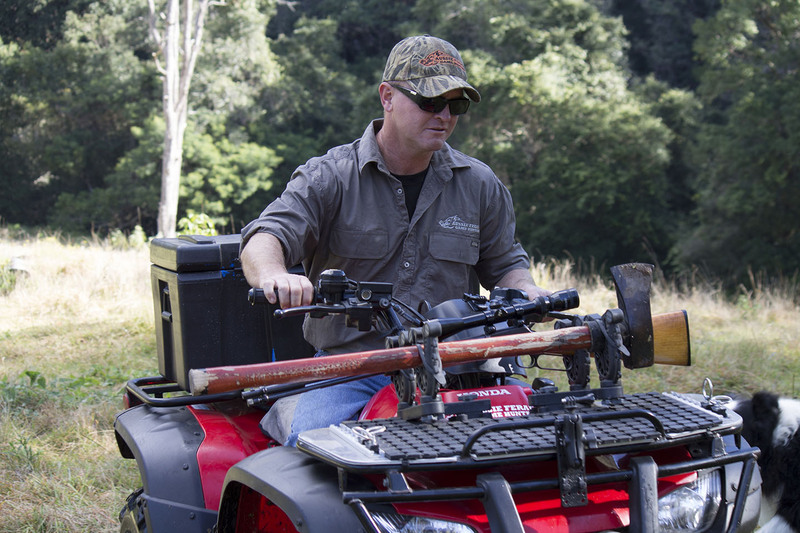 So where do you securely store your firearms while on the move? 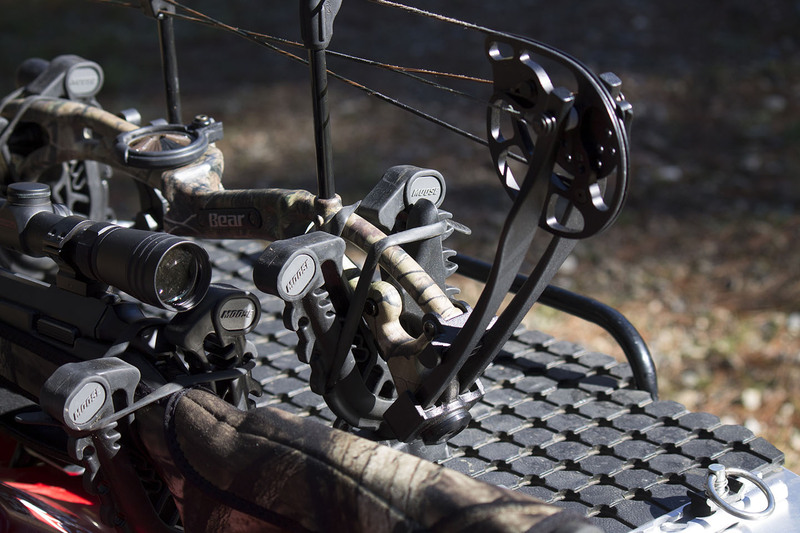 ATV TEK have a solid range of storage options to cater for this need, not only for the rifle but the unique design caters for compound and recurve bows as well, giving you a stable mounting system that wont damage your tools of the trade. 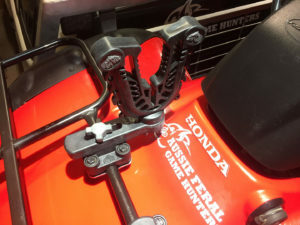 Using a ring spanner or ratchet tighten the base plate to the desired location. Next we install the mount arms with the tool free adjustment bolts, simply place the arm at the desired setting and screw the bolt down. 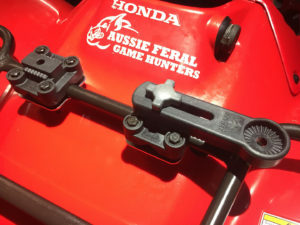 Next we install the yokes to the mount arms and these too feature tool free adjustment screws, Its good practice to have your rifle or bow handy to mock fit for best location and all stock and bows vary. 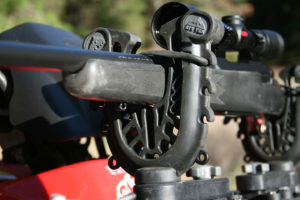 If you find that you would prefer an offset to the rail, simply spin your base plate 90 degrees to suit. Now you’re set to hit the field and test out the ATV TEK grips! 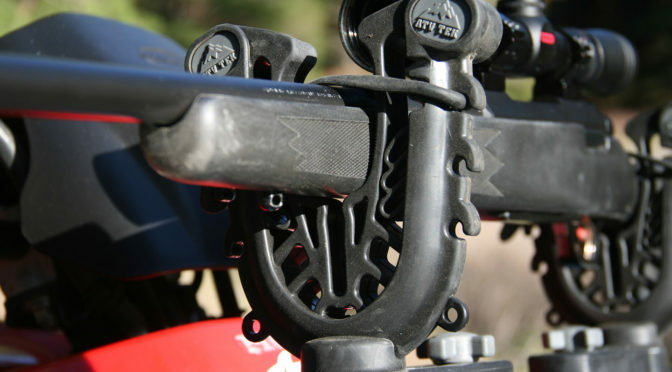 Each grip comes with a securing rubber to add security when the terrain gets rough, we found that on most surface the grips help the equipment well without the securing rubber but nothing beats peace of mind knowing it wont bounce out unexpectedly! 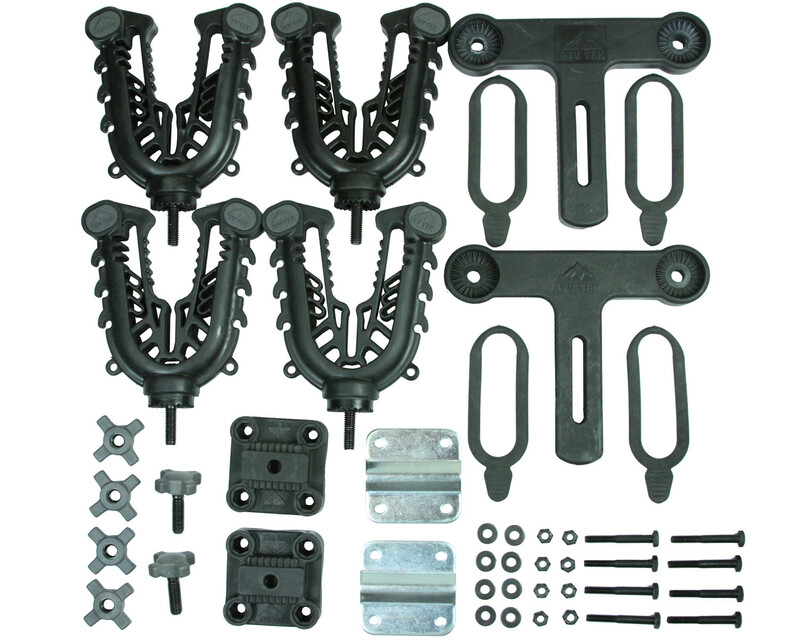 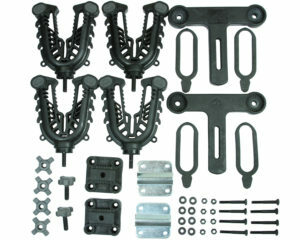 Now this mounting system is not just for the hunter, we have been testing these mounts for 9 months and have used them for every day carry of farm tools and equipment. 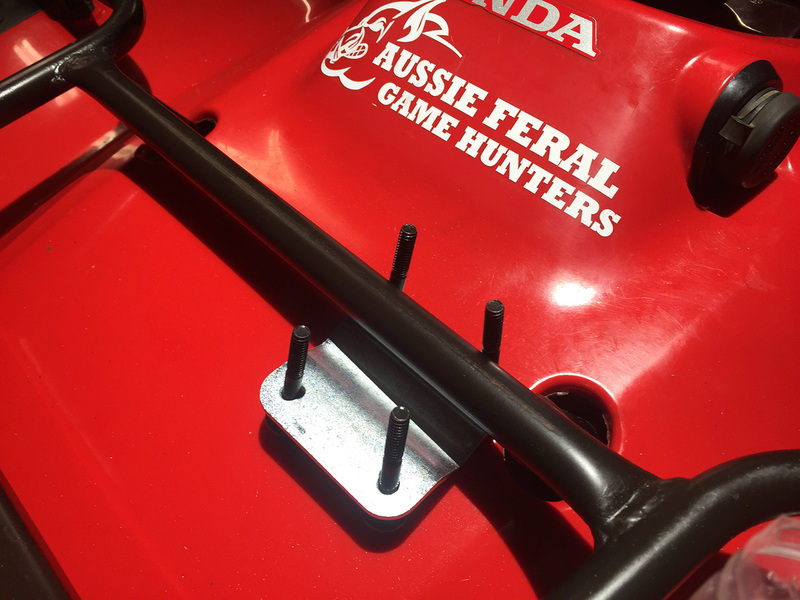 We have really given this system a flogging on the farm and not once have we had an issue or experienced any defects in the mounts construction. 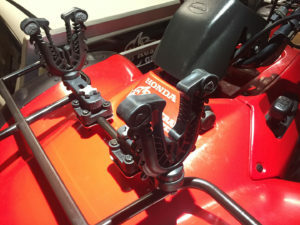 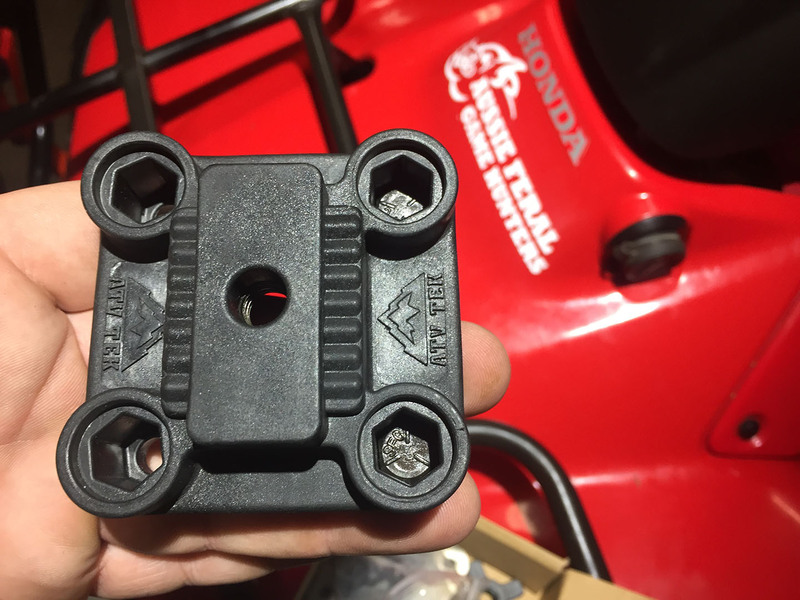 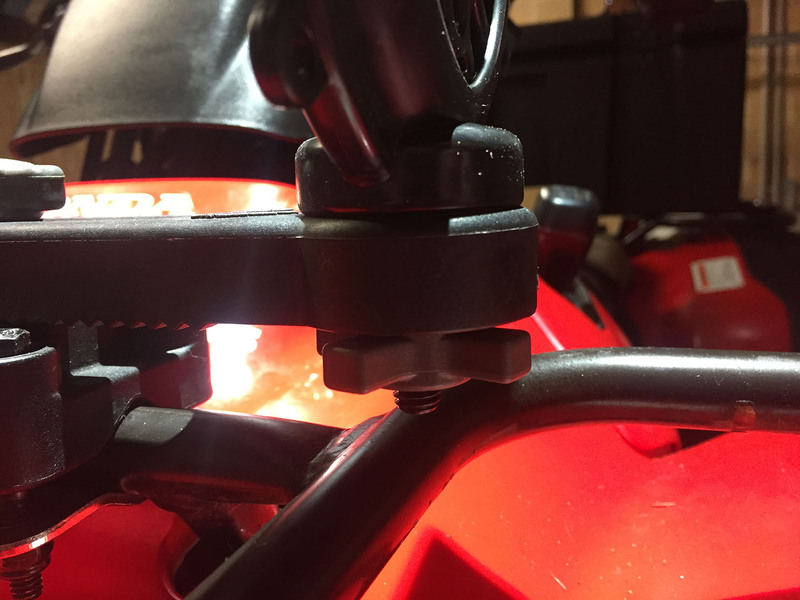 One of our favorite features of this mount is the amount of shock absorbing flex offered when riding on rough terrain, other mounts on the market are very rigid and don’t offer the shock absorbing hits that is common experienced on quad bikes. We have put together a short clip of this mount in action and can be viewed here > ATV TEK in action!